A fundamental part of every beta test is rewarding your testers for their contribution to your product’s development. How you reward your beta testers will have a significant impact on the success of your beta program. A solid incentives strategy will keep your testers contributing throughout your project and leave them feeling valued. A weak (or complete lack of) incentives strategy, on the other hand, will derail your beta test completely, leaving you with disgruntled testers and very little feedback. We’ve developed a Beta Test Incentives Kit designed to help you tackle this challenge and build a comprehensive incentives strategy. This kit includes a whitepaper that will help you do two things. First, it will walk you through creating a testing experience that naturally incentivizes and motivates beta testers. Second, it will help you build a plan for selecting and distributing traditional incentives (such as gift cards or products) to your testers to thank them for their hard work. 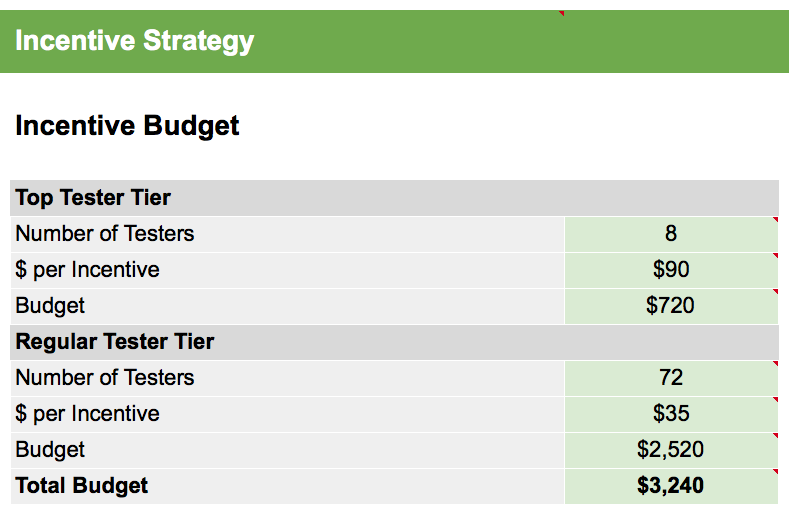 We’ve also built a powerful Beta Test Incentives Calculator, which will help you determine a budget for your incentives strategy. This calculator uses information about your beta test and product to determine the appropriate amount you should be setting aside for each tester’s reward and predicts whether your beta unit and/or final product would make appropriate rewards. The kit also includes example versions of the calculator for a consumer hardware product, B2B software product, mobile app, and video game to illustrate common scenarios. With a little creativity and forethought, you can leverage the best practices in this kit to turn good beta testers into extraordinary ones and build relationships with members of your tester community that will benefit your products and brand for years to come. 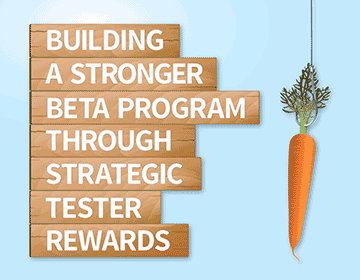 Download our Beta Test Incentives Kit now!